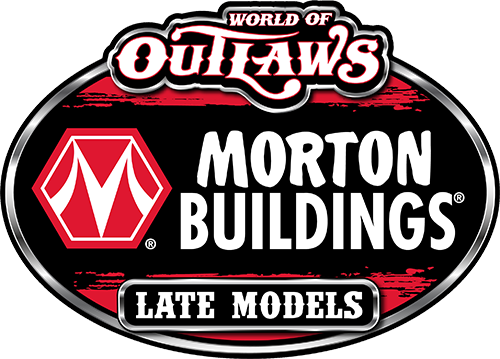 MARYVILLE, Tenn. (May 7, 2017)—The Fifth Annual Mountain Outlaw 50 for Smoky Mountain Speedway will take place on Saturday May 13th as the World of Outlaws Craftsman Late Model Series will invade the ½ mile oval located just outside of Maryville, Tenn. In addition to the ground-pounding Super Late Models, the Sportsman Late Models will compete for $1,200-to-win and the Street Stocks will race for the $800 top prize at Tennessee’s Special Event track. Previous World of Outlaws Craftsman Late Model Series winners at Smoky Mountain Speedway include Scott Bloomquist of Mooresburg, Tenn. in 2015 and 2016, Shane Clanton of Zebulon, Ga. in 2013 and Rick Eckert of York, Pa. in 2004. The event was rained out in 2014. Smoky Mountain Speedway has hosted two Super Late Model events so far in 2017 as Dale McDowell of Chickamauga, Ga. scored the $7,500 top prize on April 1st during the unsanctioned event victory and Brandon Sheppard of New Berlin, Ill. took home the $7,500 payday in the SAS-sanctioned Rockin’ with the Stars event on April 29th. Also announced, as the Street Stocks take to the track for this Saturday’s action, they will run under a new rules package. The new rules, which are listed on the track’s website at www.SmokyMountainSpeedway.com will fall under the same rules as area race tracks 411 Motor Speedway, Volunteer Speedway and Tazewell Speedway. On Saturday May 13th, the pit gates open at 12:00 pm and the tier parking plus grandstand gates will swing open at 3:00 pm. The driver’s meeting will be at 7:00 pm and hot laps will roll out at 7:30 pm. The World of Outlaws Craftsman Late Model Series tire rule for Saturday’s event as follows: Hoosier 1300 and 1350 along with the American Racer 44 and 48 (these are allowed on all four corners) while the Hoosier 1450 and 1600 and the American Racer 53 and 56 will be allowed as right-rear options. Adult general admission is $25.00 while children ages 6-11 will be admitted for $5.00 and children five and under will be admitted for free. Adult tier parking admission is $30.00 while children ages 6-11 will be $10.00 and children five and under are free. Adult pit passes are $40.00 per person while children 11 and under are $15.00. The Smoky Mountain Speedway is located at 809 Brickmill Road in Maryville, TN 37801. The track phone number is (865) 856-8989. You can obtain further information on Smoky Mountain Speedway by logging on to www.smokymountainspeedway.com . Be a follower of Smoky Mountain Speedway on Twitter by following @SMOKYMTNSPEED. More information on the World of Outlaws Craftsman Late Model Series can be obtained by viewing www.woolms.com . Street Stockers: We WILL BE RUNNING the Street Stock Class for $800 to win, THIS Saturday, May 13th. For the Event we will be using the same rules as 411, Volunteer Speedway, and Tazewell. a. Any cubic inch allowed – open engine. b. Cast iron block and cylinder heads (only). Absolutely no aluminum block or heads! c. Aluminum or cast iron intake permitted. d. One carburetor permitted (2-barrel or 4-barrel). f. No turbo. No supercharger. No nitrous oxide. No nitro methane. a. Stock or MSD ignition permitted (no magneto). b. Absolutely no traction control permitted! b. Coil spring rear suspension cars must have full frame to center of the rear end. Coil spring cars will use factory design (Example: Metric cars will use 2 triangulated upper and 2 lower trailing arms). c. Camaro and Nova front stub cars may be tube from the front clip back for leaf spring rear suspension ONLY. … Full frame leaf spring conversions are OK.
e. One (1) shock per corner, total of four (4) on car. Schrader Valve shocks are OK.
f. No canister shock. No aluminum body shock. g. No coil over shock. No adjustable shock. h. No coil over eliminators, brake floaters, j-bars, panhard bars, lift bars, birdcages, or pull bars. i. Upper ball joint to be even with #1 spark plug. j. No quick change rear ends. 9-inch floated rear end acceptable. l. No wide 5 hubs or wide 5 adaptors. m. Weight jacks are permitted. n. Leaf spring rear end acceptable. o. No progressive springs. No spring rubbers. p. Minimum 5-inch diameter springs. q. Stock steering box (no late model type rack and pinion). May use quick release steering wheel with steering column in stock location. b. Driver will receive 25 lb. weight break if wearing approved HANS device. d. Longer studs permitted, can be double-nutted. a. Any transmission permitted (stock, Bert, Brinn, etc. – but must have reverse gear). a. Headers are permitted, but no turn-down headers are allowed to be turned down toward the racing surface. a. Aluminum, steel, and composite body panels are permitted (rear may be left open). … Wagon roofs are allowed. b. After market stock appearing nose pieces are permitted. No wedge style Late Model noses. c. 8-inch rear spoiler height maximum. d. Spoiler supports to be no more than 23 1/2 inches long with no more than three (3) supports permitted. e. Front bumpers must be constructed of 1 3/4-inch round or 1 1/2-inch square .095 tubing (maximum). Must turn and extend rearward behind the nose a minimum of 6 inches (no welded 90* or sharp edges). f. Rear bumpers must be constructed of 2-inch round or 2-inch square .095 tubing (maximum). Must turn and extend forward behind the quarter panel a minimum of 18 inches (No welded 90* or sharp edges). g. Hood and trunk must be fastened with hood pins. MARYVILLE, Tenn. – May 3, 2017 – In regards to a gloomy forecast with nearly 100-percent chance of rain and much colder temperatures for Thursday May 4th, track officials have been forced to cancel the Tennessee Tipoff Classic event sanctioned by the Schaeffer’s Oil Spring Nationals Series presented by Sunoco Race Fuels and Tennessee RV for this year and the event will not be made up. Any armbands for the grandstands, tier parking or the pit area will be good for any 2017 event at Smoky Mountain Speedway. Entry fees for the series teams can be used as a credit for any event throughout the 2017 season. The track will also decide on compensation for the drivers for Friday Night (March 10th) since their heat race finishes were complete. The next event for the Schaeffer’s Oil Spring Nationals Series will be on Friday Night May 19th at Crossville Speedway in Crossville, Tenn. for a 40-lap $4,000-to-win event. This will be the sixth points event on the schedule. There have been four different winners in five events on the tour so far. BRASSTOWN, NC (March 17, 2017)—The Schaeffer’s Oil Spring Nationals Series and Smoky Mountain Speedway located in Maryville, Tenn. will make up the 10-lap Consey and 75-lap Tennessee Tipoff Classic paying $15,000-to-win on Thursday May 4th. The makeup date will open a big weekend of nice paying races in the area. With the rescheduled makeup date, drivers and fans can attend Lucas Oil Late Model Dirt Series events on Friday May 5th at Tazewell (Tenn.) Speedway and Saturday May 6th at Florence (Ky.) Speedway. Also in the area, the World of Outlaws Craftsman Late Model Series will be in action on Friday May 5th at Cherokee (S.C.) Speedway and Saturday May 6th at Fayetteville (N.C.) Motor Speedway. Scott Bloomquist of Mooresburg, Tenn. is the defending race winner which was sanctioned by the Spring Nationals Series. Dale McDowell of Chickamauga, Ga. and Chris Madden of Gray Court, S.C. shared Tennessee Tipoff Classic victories during the event in 2014. Casey Roberts of Toccoa, Ga. claimed the rescheduled 2015 race after a rain out forced the postponement of the event. There have been three different Schaeffer’s Oil Spring Nationals Series champions with Steve Casebolt of Richmond, Ind. taking the championship in 2013. Billy Ogle Jr. of Knoxville, Tenn. won the series title in 2014 while driving the Blount Motorsports Rocket Chassis and Donald McIntosh of Dawsonville, Ga. again drove the Blount Motorsports entry to the title in 2015 and last season. On Thursday May 4th, a full show of the Street Stocks and Sportsman will also join in with the Schaeffer’s Oil Spring Nationals Series presented by Sunoco Race Fuels and Tennessee R.V. Thursday’s grandstand admission is $30.00 for adults. Adult tier parking is $35.00 and adult pit passes are $40.00. The pit gates will open at 3:00 pm, the stands and tier parking gates will swing open at 4:00 pm on May 4th with the driver’s meeting slated for 6:00 pm and hot laps will roll out at around 6:30 pm. Row 4: Billy Ogle, Jr.